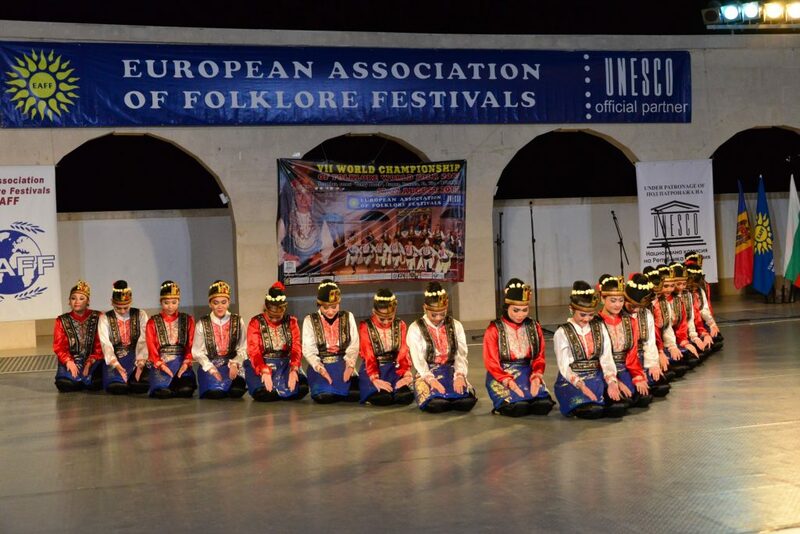 The European Association of Folklore Festivals – EAFF has been established in year 2007 in the ancient capital of Bulgaria – Veliko Tarnovo. Its main purpose is to preserve, develop and make popular the folklore of the different European nations by organizing festivals and using the modern television, computer and other information technologies. EAFF is umbrella structure of 368 festivals members. Every year more than 6 000 culture institutions and more than 180 000 participants are involved of EAFF events to preserve and present world culture. The European Association of Folklore Festivals – EAFF achieves its activities mainly through the festivals of the Musical Feasts “Euro Folk” and through the worldwide Internet Television “Euro FolkTV”. The basic feature of the festivals from the Musical Feasts “Euro Folk” is the complete filming with professional TV equipment of all the performances together with making different audio and TV products. The main and biggest festival with 7 000 – 15 000 participants is organized every year from 1998 in headquarters town of EAFF – Veliko Tarnovo, Bulgaria – Stara planina Fest Balkan Folk. Domain(s): (b) performing arts; (c) social practices, rituals and festive events. Main Safeguarding measures: b) preservation, protection; c) promotion, enhancement; d) transmission, (non-) formal education.